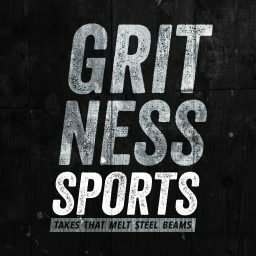 Welcome back to The Gritcast! This week we go all over the place. Draft Expert Nick and Vito join us to talk some golf. Dirty Dietz explains his desire to become a baseball guy, his fear of going quote tweet viral, and April Fools Day, while Hambone introduces us to his new favorite meme. Once again, the evil robot Sofia is back to give us nightmares, and this time she has converted one of humanity’s greatest heros. All this and more! Rate, Review, and Subscribe on iTunes or your favorite podcast app. We’d love to hear from you on social media, check our homepage for our handles.